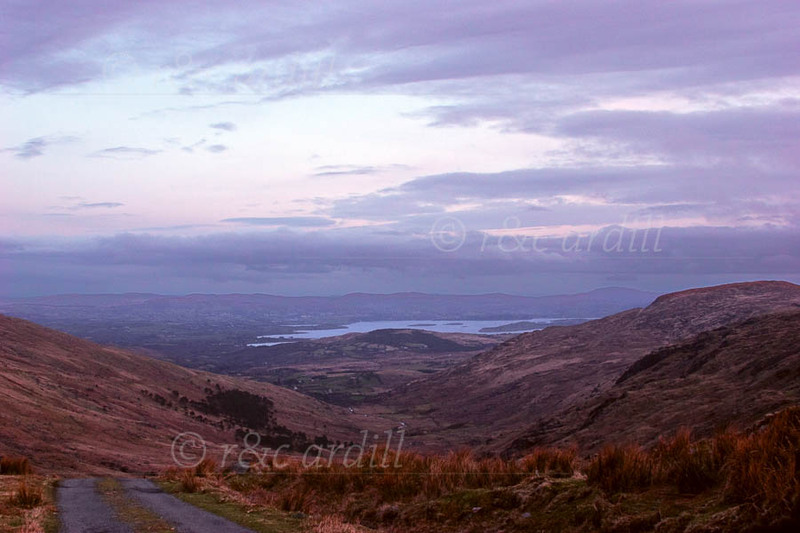 Photo of: West of Ireland: West Cork. View of Bantry Bay from the Priest's Leap at dusk. Coomhola mountain rises to the left and the peak at the right is Cobduff.